I left one of the most densely populated city for another one, Tokyo, the starting place of my two weeks trip in Japan. It was great to stay with her as I could get a glimpse at what it’s like to actually live in Tokyo. It was also a huge help to understand how the public transportation works! Although there is a learning curve, Japan has an amazing public transportation system. 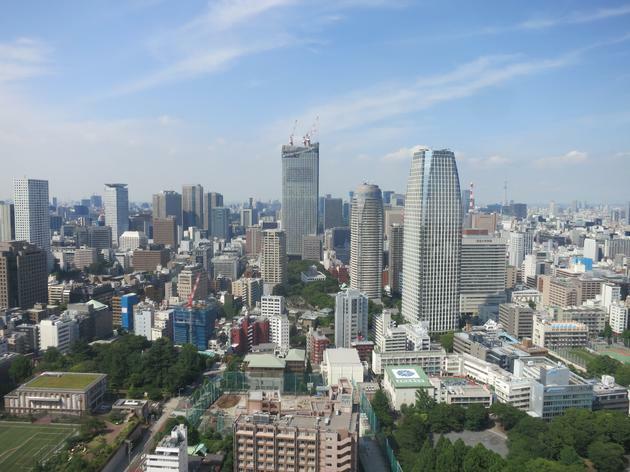 Tokyo is an impressive megalopolis, truly gigantic. You can ride the train for hours without seeing one once of nature. It is divided in many neighborhoods and cities. You don’t really notice when you go from one to another but each of them has some specificities. 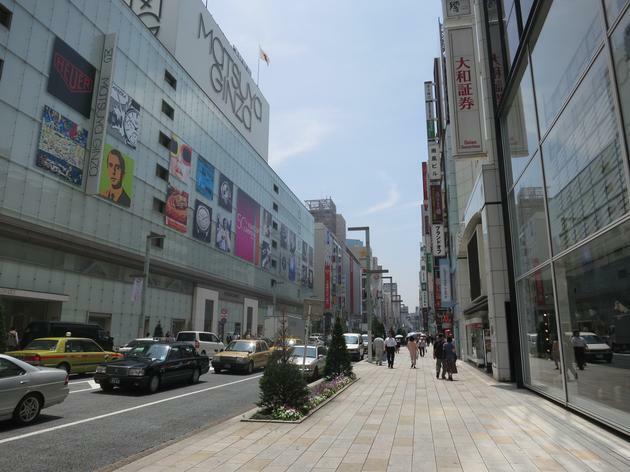 At the heart of Tokyo lies the Imperial Palace, Tokyo station and the Ginza neighborhood. I was quite disappointed by the Palace’s gardens but walking around the whole area is great. I especially loved Ginza in the after-work hours. 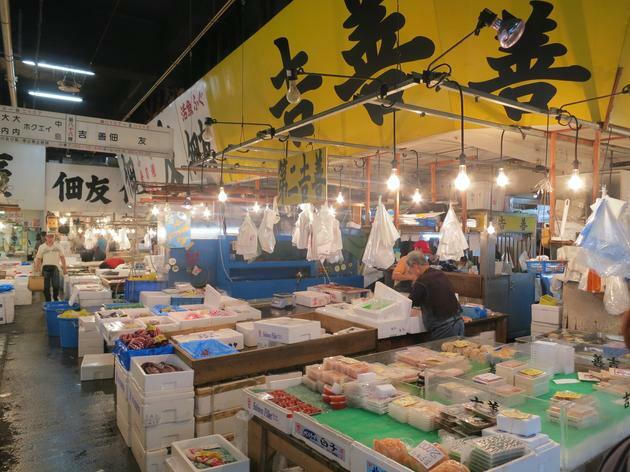 You should wake up early and visit the Tsukiji Fish Market, the biggest in the world. If you’re really motivated, you can attend the Tuna auction but you need to get there at 4am. Have breakfast at one of the sushi place around the market. Although they are expensive, the fish is really fresh and tastes delicious (I had amazing tuna and salmon sushis). If you want to realize how vast Tokyo is, go up the Tokyo Tower. The urban areas extend up to the horizon, no countryside in sight. 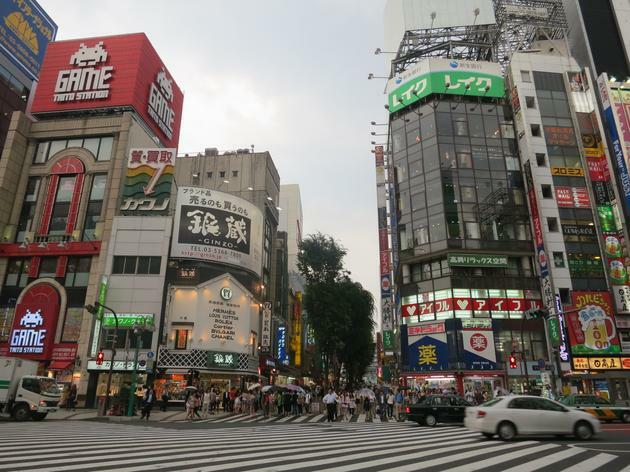 In the evening, Hakihabara, the “electric city”, and Shibuya, with its world famous crossing, are must see and Roppongi is the place to go out. You can slow things down with a visit to Tokyo National Museum which hosts some beautiful exhibits. I especially loved the displays of samurai swords and the huge writings. I find Japanese characters beautiful by themselves, without even understanding their meaning. They are many other neighborhoods to explore. What is particularly interesting in Japan, at least from my point of view, is watching how people behave. The country is one of the most developed in the world and yet shares very little culture with the rest of the (very homogeneous) Western world. Thus, sitting at a café watching the crowd or walking around is an experience by itself. In the end, I really enjoyed Tokyo. It is an incredibly clean, modern busy and very diverse city. I think it must be very hard to get bored there. Plus the food is awesome and one of my favorite cuisine. It was the perfect start for my trip in Japan and I definitely want to visit again in the future.